Team Suzuki Press Office – August 23. 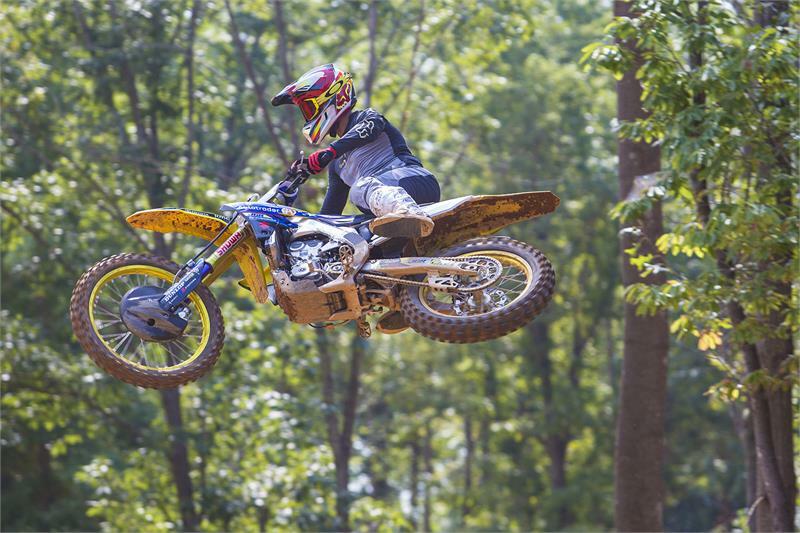 Former AMA Motocross Champion Chad Reed will race a Suzuki RM-Z450 this weekend in the final round of the Lucas Oil Pro Motocross Championship at the Ironman Raceway in Crawfordsville, Indiana for the Autotrader/ Yoshimura/ Suzuki Factory Racing Team. Reed, who achieved his greatest success outdoors on a Suzuki while capturing the 2009 AMA 450 Pro Motocross Championship, had those powerful memories renewed recently when the Australian had the chance to ride a stock 2018 Suzuki RM-Z450 during a press event in California. Highly impressed by the RM-Z450, Reed reached out to Autotrader/ Yoshimura/ Suzuki Factory Racing Team Manager Jeremy Albrecht and asked about testing the race bike at JGRMX’s headquarters in North Carolina and the positive testing experience opened an opportunity for Reed to line up for the Ironman National. Autotrader/ Yoshimura/ Suzuki Factory Racing Team Manager Jeremy Albrecht is excited to work with one of the sport’s most accomplished and popular riders. Chad Reed will be joined by Justin Hill, who is still nursing a bruised knee, in the 450 class, while Enzo Lopes and Jimmy Decotis will contest the 250 class on their Suzuki RM-Z250’s.